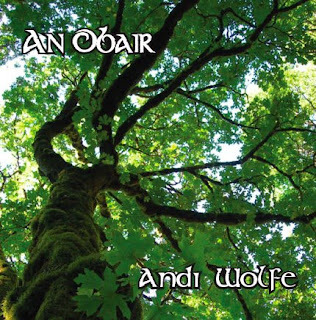 Aisling Irish Traditional Music: Andi's solo album is released! Andi's solo album is released! Andi started working on a solo CD project last February and finished the recording in May. Add a few weeks for processing and printing, and the project is finally done. The CD's have arrived and will make their official debut at the Dublin Irish Festival (DIF) next week. You can hear some of the tracks at Andi's MySpace Page. There are 14 tracks and 76+ minutes of music on this CD. Musicians: Andi Wolfe, Craig Caldwell, Stuart Brand, Steve Wolfe, Mary Bertke, Sid Omasta, Rick Nelson. From the liner notes: "I’ve appreciated the music of Turlough O’Carolan (1670-1738) ever since I began to play traditional Irish music. He was a blind harper and composer who lived in Ireland during the Baroque era. His music shows influence from the harper tradition, the dance music of his time, and snatches and phrases from the Baroque music that would have been played in the Great Houses of Ireland where he entertained and gave lessons. 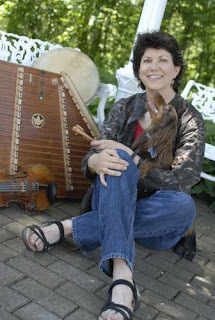 O’Carolan’s music translates very nicely to the hammer dulcimer and I very much enjoyed arranging his tunes to go with traditional Irish dance music as well as original, contemporary Celtic music." ". . . Got the CD today and put it in my computer immediately! It's great! I can't wait to take it home and share it with others." "The first day I had mine, I played it while I fixed supper. I know it made the food taste better." "I am so taken with the music on An Obair; it is just lovely. I like it as much as my Handel and Bach. . . Now that I have the music on my computer and Shuffle I will let my husband have the CD for a little while. Congratulations on such an outstanding CD." Aisling back in the studio at last!